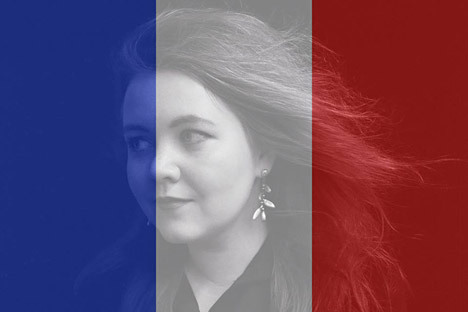 Some Russian internet users have accused those who have activated the tricolor filter on their profile pictures in response to the terrorist attacks in Paris of hypocrisy and Facebook of double standards. Others, meanwhile, insist that each person is entitled to decide for themselves how to show support for the victims. Over the weekend, Russian internet users became engaged in a heated debate about the tricolor filter for profile pictures set up by Facebook to show solidarity with France after the deadly terrorist attacks that rocked Paris late on Friday, Nov. 13, in which 129 people were killed. Some users have accused Facebook of double standards: No similar filters were set up either after the crash of the Russian A321 passenger airliner over Egypt’s Sinai Peninsula, almost certainly the work of terrorists affiliated with Islamic State (ISIS), or after the terrorist attack in Beirut that took place the day before the Paris attacks. The air disaster in Egypt claimed 224 lives, while 44 were killed in the bombing in Beirut. “I am looking at my Facebook feed and cannot understand why most of my friends are adding the French tricolor to their profile pictures… They did not do the same with the flag colors of Romania, Russia, Syria, Ukraine…” wrote user Andrei Grigor. More cynical users saw the tricolor filter on profile pictures as more of a self-aggrandizing act than a true gesture of support. “To make a show of mourning for the killed French nationals is just as disgusting and unnatural as to grieve at the funeral of someone else’s grandfather, presenting oneself as the person most distressed by his death and being met with bewilderment from the deceased’s friends and disgust from his relatives. To mourn intensely and openly is only appropriate at the funeral of one’s nearest and dearest,” wrote user Vladimir Kozlovsky. Some users have even added a Russian tricolor filter to their profile pictures in protest “against Facebook’s double standards.” Meanwhile, others have replaced their profile pictures with the photo of “the most important passenger” (a picture of the youngest child killed in the Sinai crash that has gone viral in Russia). Users in the other camp insist that each person can decide for themselves how they want to show their support and grief and upgrading one’s profile picture is just one of the ways of doing so, and is no better or worse than many others. “There are surprisingly many of those who want to contrast the sympathy for the victims of yesterday’s terror attacks and solidarity with France on the one hand, with the grief for the A321 victims on the other. Tell me, is it not possible to combine both? Where is any contradiction here? Is it like two warring sides in a conflict?” wrote film producer Sam Klebanov. “We are very different and we may dislike each other very much (there is certainly no obligation to admire Charlie Hebdo’s oeuvre), but for the religious fanatics that our secular civilization has come up against, all these subtle differences are not at all important, they do not even understand them and are prepared to kill any of us. That is why to all of us they are a common enemy and we all – no matter how different we are – are allies in this war,” he wrote. “My profile picture is an expression of support, solidarity and grief. And it is my choice (and not the herd mentality, as some are suggesting). After the Sinai crash, I went to the church, to pray and lit a candle, and that too was my choice,” wrote Yelena Baymyashina.